A recently unclassified report from the Pentagon from 1998 has revealed an investigation into using laser beams for a few intriguing potential methods of non-lethal torture. Some of the applications the report investigated include putting voices in people's heads, using lasers to trigger uncontrolled neuron firing, and slowly heating the human body to a point of feverish confusion - all from hundreds of meters away. A US citizen requested access to the document, entitled "Bioeffects of Selected Non-Lethal Weapons," under the Freedom of Information Act a little over a year ago. There is no evidence that any of the technologies mentioned in the 10-year-old report have been developed since the time it was written. The report explained several types of non-lethal laser applications, including microwave hearing, disrupted neural control, and microwave heating. For the first type, short pulses of RF energy (2450 MHz) can generate a pressure wave in solids and liquids. When exposed to pulsed RF energy, humans experience the immediate sensation of "microwave hearing" - sounds that may include buzzing, ticking, hissing, or knocking that originate within the head. "The phenomenon is tunable in that the characteristic sounds and intensities of those sounds depend on the characteristics of the RF energy as delivered," the report explains. "Because the frequency of the sound heard is dependent on the pulse characteristics of the RF energy, it seems possible that this technology could be developed to the point where words could be transmitted to be heard like the spoken word, except that it could only be heard within a person´s head. In one experiment, communication of the words from one to ten using ´speech modulated´ microwave energy was successfully demonstrated. Microphones next to the person experiencing the voice could not pick up these sounds. Additional development of this would open up a wide range of possibilities." The report predicts that communicating at longer distances would be possible with larger equipment, while shorter range signals could be generated with portable equipment. Putting voices in people´s heads could cause what the report calls "psychologically devastating" effects. The technology might even allow for communicating with an individual hostage surrounded by captors, although this would require "extreme directional specificity." "While the investigations reveal intriguing techniques for non-lethal torture, the report does not mention plans for carrying out specific experiments or studies in the future." -- Of course it's not mentioned but you can bet that experiments were/are being carried out. The US Military has a shady history of carrying out chem/bio tests on unsuspecting citizens. Google it. If they released it, they have moved past it. We should most definitely research every potential avenue of defending our freedoms from those that would take them away. We should not resort to usage of anything close to "torture" except in the last resort. Our enemies are researching such techniques as well. It is critical that we have knowledge of techniques that might be used against us as well. I think paranoia about this technology is justified. Already been reports of the US using high energy lasers in other countries to fry people's heads. This post is for Zen. I have schizophrenia, therefore I am paranoid.I have had a delusion which told me there were lazers shooting down at me. This delusion told me to act out and hide. I got out of my car, started walking, and forgot where I was .First, I hid in a resteraunt and then I continued to seek shelter. That is when I noticed an airplane flying low to the ground and it seemed to be watching where I was going-which I don't know if it was true. Anyways, my point is..I agree with you when you say the paranoia is justified. I feel better knowing that my beliefs were true. Remember George Bush's rectangular hump observed through the back of his suit jacket during the debates with John Kerry in 2004 (and on other occasions)? Could this technology have been used to communicate to Bush? At least twice he said "Let me finish" when no one was interupting him, but he didn't seem to be wearing an earphone. Maybe? Yes? No? 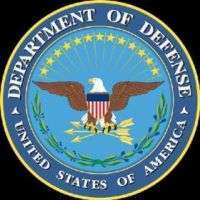 Many of us have known (ask youselves how), for decades, about many of the weapon capabilities documented in the 1998 "secret" US DoD document, "Bioeffects of Selected Non-Lethal Weapons", that was at last declassified on 6 December 2006. We have been under pressure from elected politicians to provide them with documentary proof that weapons had actually been manufactured that exploited the said theoretical capabilities. However much Lisa Zyga mught try to water this down, now we have that documentary proof. Lisa does not deserve to be congratulated for her considerable obfuscation of this important advance, in her article about the source I'll wager I web-published days before Blog.Wired.com got around to it. I remember hearing about this some 5 or 6 years ago. It was around the same time that woman in Texas claimed she heard voices, or god, telling her to drown her children. And last year in Colorado, a man was shot at the capital building, after he heard god tell him he was the emperor and to take over state government. While its quite possible these people were already unstable, I cannot exclude that the military is not testing these technologies on the people of this country, and others. It should also be noted that when Israel attacked Lebanon last summer, there were reports of people having had limbs burnt off by an unseen weapon from an unknown location. DIRECTED ENERGY AND NEUROLOGICAL WEAPONS, AND ORGANISED STALKING TORTUREAND ABUSE detail the most extreme and totalitarian violations of human rights in human history, including the most horrendous incidences of psychological torture, rapes, sexual abuse and other mental and physical mutilations. There are millions all over the world, who are being subjected to similar torture and abuse. I appreciate that the author identified application of these weapons technologies as "torture." That is very much the point of these weapons. Also appreciated is the author's notation that the high voltage sources for 15 Hz exists today. I find the concept of disrupting the central nervous system of people or overheating people at a distance to a level of incapacitation or providing auditory input that they cannot stop as unacceptable weapons. It is my understanding that such weapons are prohibited under various international treaties and conventions, as I understand them. The medical implications of such weapons perhaps should be elaborated upon in detail as a separate and complete article. Taking control of another person's central nervous system without any defense and being able to do so remotely is not something to be taken lightly. The implications are far reaching. I have also noted how often new weapons of torture, such as the Raytheon Active Denial pain infliction system, are noted to be created to be used for "crowd control." The US appears to be developing many invasive and large scale weapons for "crowd control." I do not see worldwide or domestic problem of huge uncontrollable crowds requiring such extreme weapons to be developed and manufactured for use by the US. Perhaps the correct nomenclature should be "social control." I am grateful to the US citizen who obtained this document undoubtedly with great perseverance. I would like to find out more about this subject. I encourage PhysOrg authors and researchers to pursue further similar information under the FOIA in behalf of the rest of the population who feels a strong need for such information. After all, these are the technologies and weapons of the 21st century. Most Americans are unaware of them, including those in mainstream media, and of those people who do know about them, little is actually known, relatively speaking. Since they can overtake one's mind and body and do so remotely, much more needs to be disclosed to the scientific and medical communities as well as to the interested public. I would bet that many elected officials are actually uninformed as to the potential of these weapons. It is in the public interest for as much information as possible to be made public and as soon as possible. So all this tinfoil hat stuff isn't that far off after all. Oooooh, those eeevvviiillll Bushitlerburton Rethuglican bast... Oh, what? 1998? The Sixth Year of the Reign of the Holy One, Lord Bill?